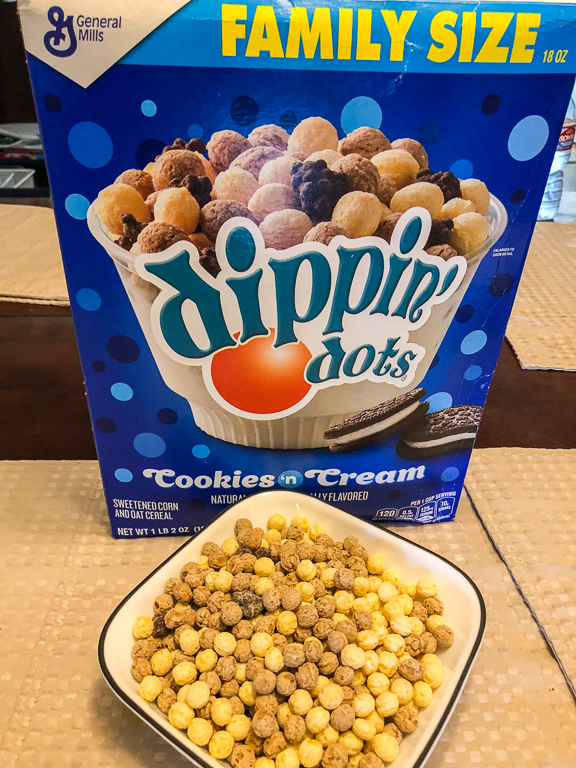 Dippin' Dots cereal? Yum! 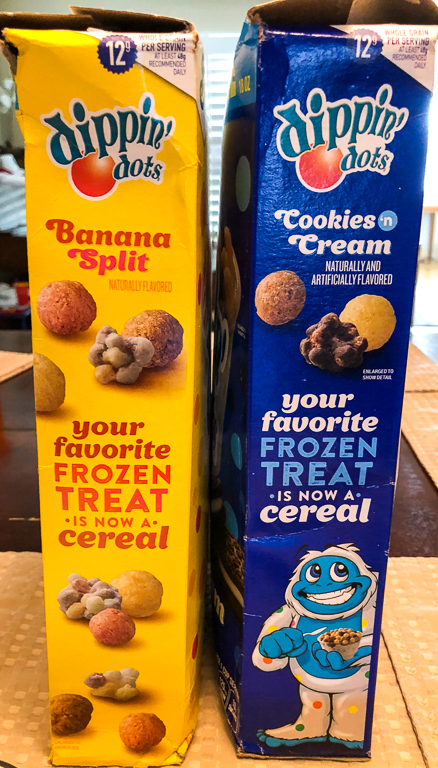 Your favorite frozen treat is now a cereal! My brother from Colorado found these for me and sent them out for me and the family to sample. First of all, I think Dippin' Dots ice cream is excellent. Super cold like an ice cream should be, and my favorite out of all the flavors is Mint Chocolate Chip. 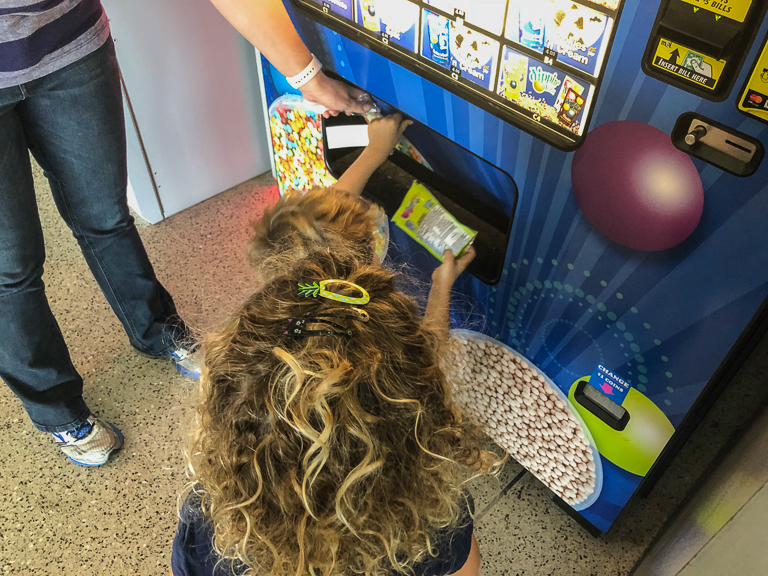 I have fond memories of stopping by the Dippin' Dots shop in the mall during high school. 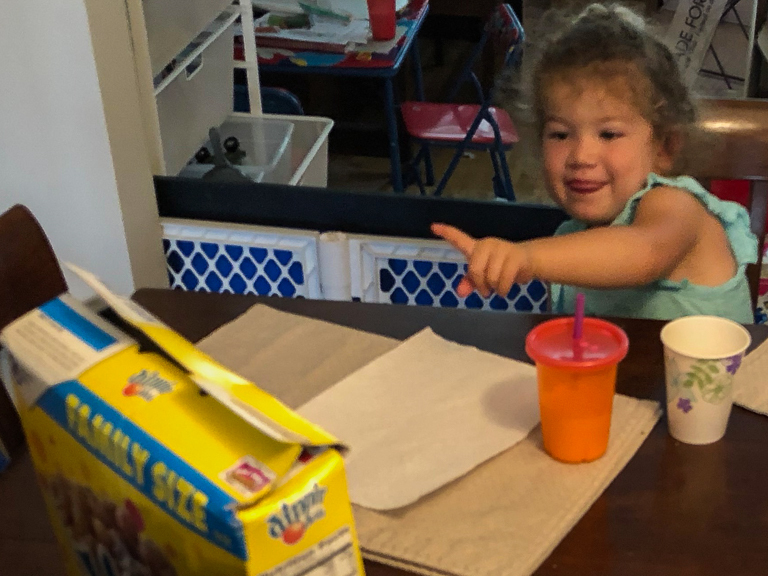 Let's see how the cereal measures up! Our first cereal to taste is the Cookies n Cream. They certainly got the shape of the cereal right. Lots of circular spheres, just like the ice cream itself. The chocolate ones taste like chocolate, and the vanilla ones taste like vanilla (and corn). To me, the flavors could be a bit punchier. 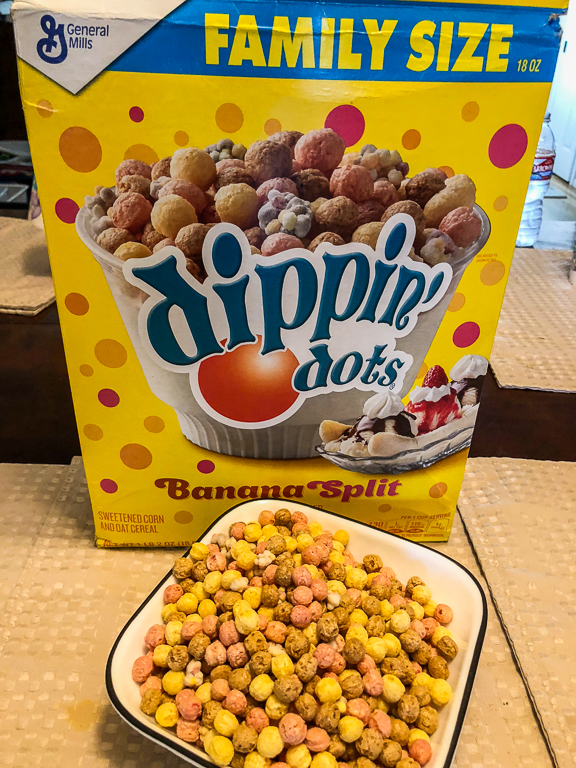 Next was the Banana Split flavored ice cream cereal. I separated the pinks, yellows, and browns to try to see if they were flavored individually or if they were all the same flavor. It was difficult to be sure since they've all been in the same box picking up each others flavors the whole time, but I think they're different flavors. The pinks have a fruity flavor, the browns are chocolate, but the overwhelming flavor for this one is the banana. Everything in here has some level of banana flavor going on. 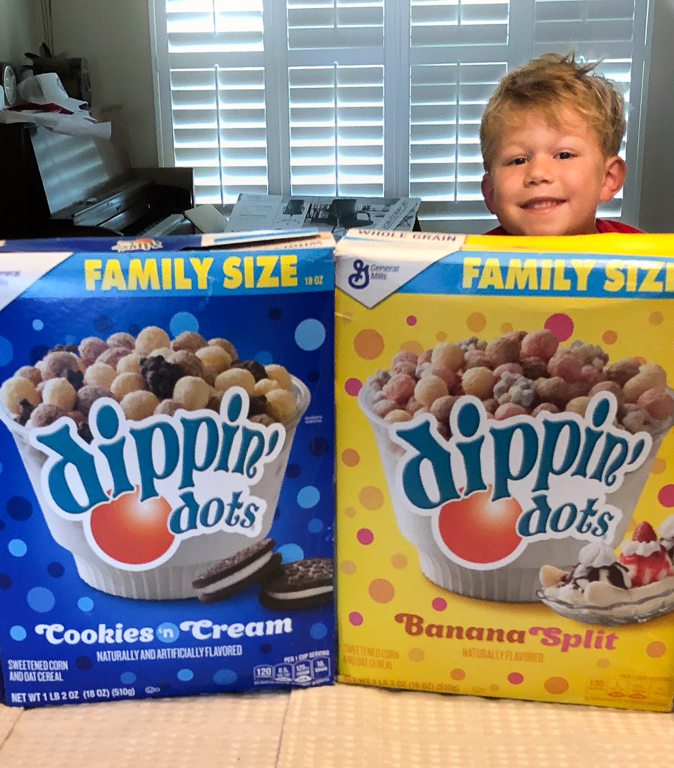 The sides of the box shows that there's these separate things in addition to the cereal puffs. I would have liked a lot more of these little extra bits. 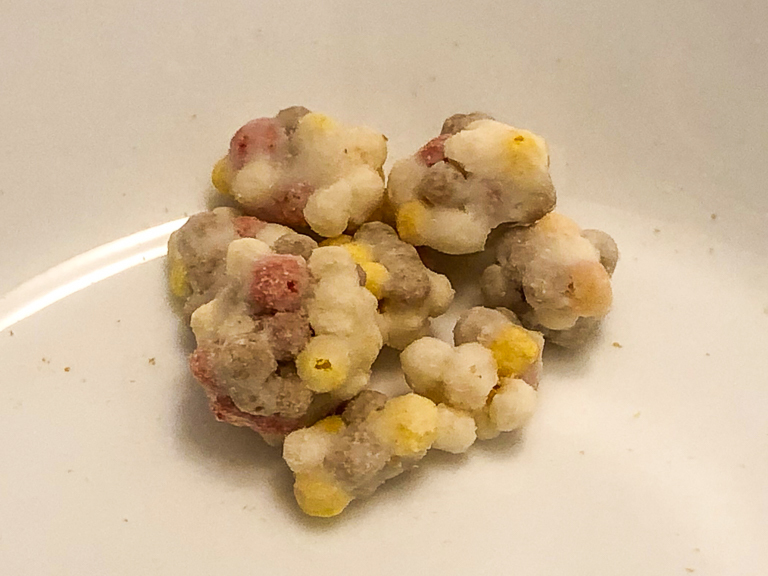 In the whole bowl of cereal above, this is all I was able to pull out. My guess is that they're some kind of sweet creamy candy, like white chocolate or something. Which one do you like most Alli? Banana huh. 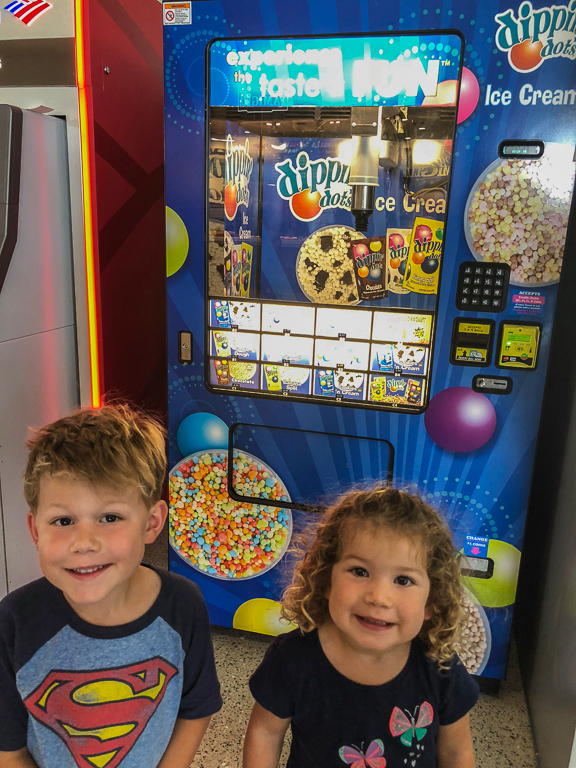 And I thought that was going to be the end of that, but a short time later when we were walking through an airport, Ian and Alli were super excited to see an actual Dippin' Dots vending machine serving ice cream. After asking in their nicest and most polite voices, I agreed to get them some. 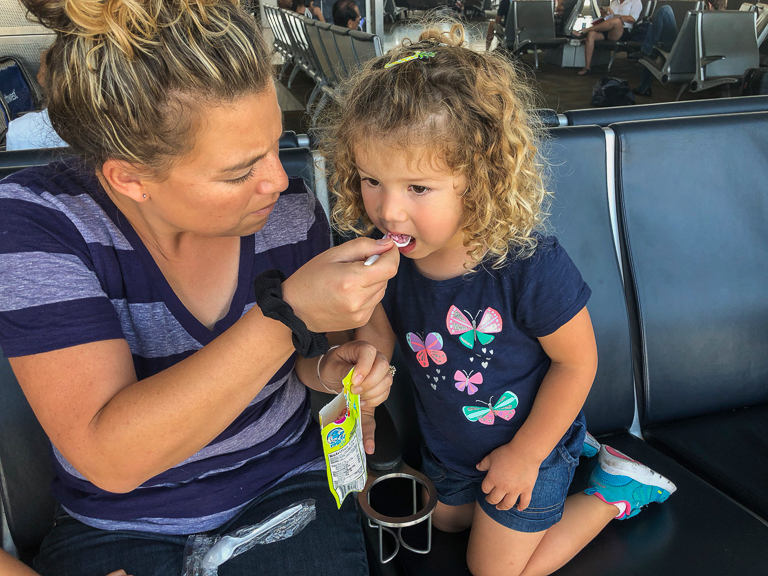 They both wanted to be picked up to see the freezer door open up, the vacuum arm move into place, drop down into the freezer, pick up our pouch, then drop it into the chute. Ian correctly stated that it was very cold. The little ice cream spheres were sticking to his lips as he tried to eat them. 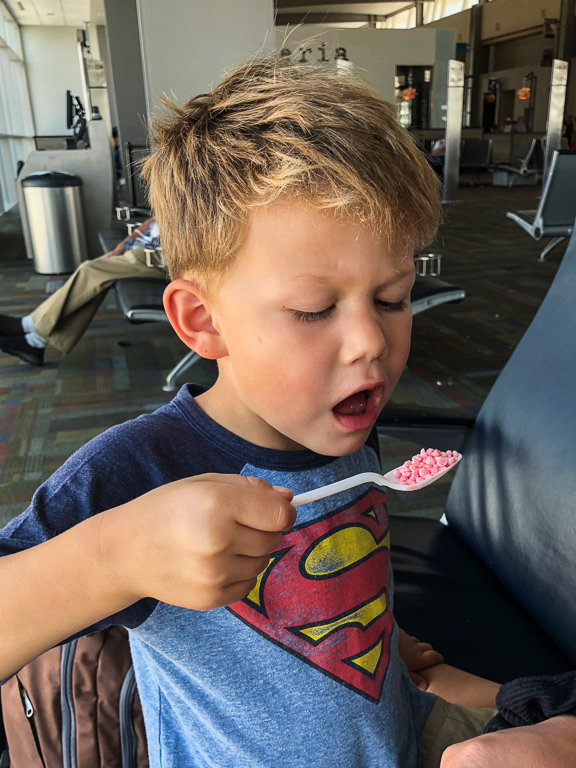 Despite being so cold, both kids really enjoyed the Dippin' Dots Ice Cream. It sure is tasty. Now to just find Mint Chocolate Chip!